Product code: 956 Categories: Sold Items, Sold Rings. Here is a perfect ring for an engagement ring. Set in a very elegant and stylish setting, the centre diamond weighs approximately 0.51cts and is H/I colour. With another diamond on each side, and 5 more on each shoulder, these extra diamonds total 0.36cts and give it wonderful sparkle. 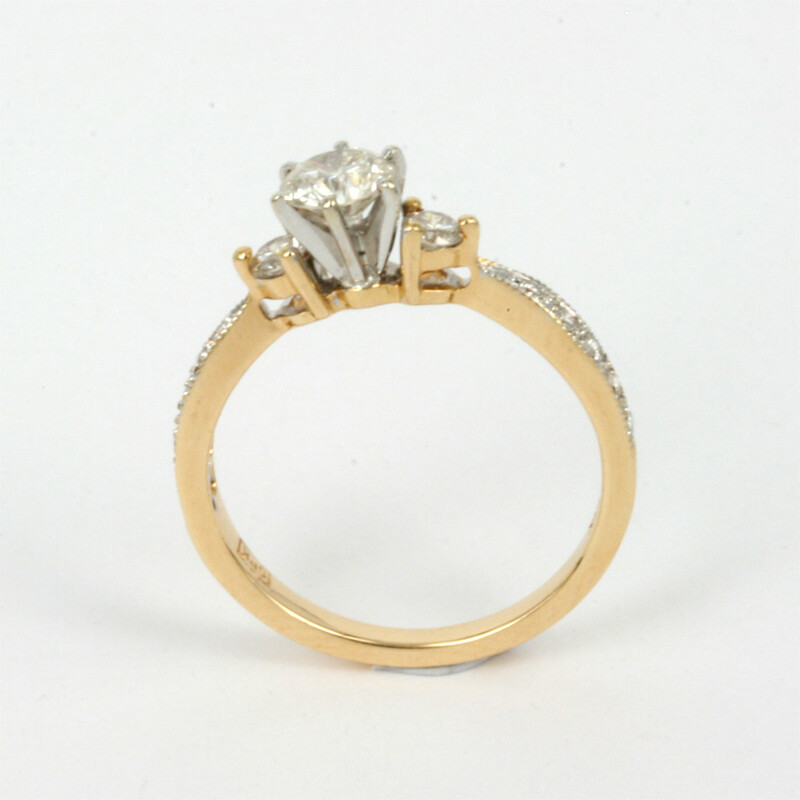 Made in 18ct yellow and white gold, this is a great example of an estate diamond ring for a fantastic price.